1. Will the horse be stabled on your property or boarded out? If kept on your property, describe shelter/barn, stall size, fencing, pasture, turn out etc. Please include recent photos of fencing, gates, water system, pasture, shelter/barn and a photo showing the stall to be used for the adopted equine. 3. If this property is located at a different address than above, please give address. If only one, please explain your plan to provide for your horse(s) should that person lose their income. References 1. Who is/will be your equine veterinarian? Who is/will be your farrier? Horses for adoption are located in KY. Out of state adopters must have one reference who is an equine veterinarian and can verify your horse ability to responsibly care for a horse. I confirm that I have read the Adoption Program Requirements. and understand what is expected of an adopter. Thank you for your adoption application. Someone from the Appalachian Horse Project will get back to you. Appalachian Horse Project suggests that you attend basic horsemanship classes when you have minimal or no prior horse experience. Sometimes, we can provide references for clinicians who offer such classes. Adopters must be over the age of 21; otherwise a parent/legal guardian must be the primary adopter and have proven financial ability to provide for the horse(s). Appalachian Horse Project works to place horses which match what a potential adopter wants to do with a horse (pleasure ride, trail, companion, etc.) as well as horse care experience. There is NO guarantee of adoption and Appalachian Horse Project may refuse adoption for any reason. APPLICATIONS MAY BE REVIEWED BY BOARD MEMBERS. ALL FINAL DECISIONS ON ADOPTIVE HOMES ARE AT THE DISCRETION OF THE PRESIDENT OR EXECUTIVE DIRECTOR. 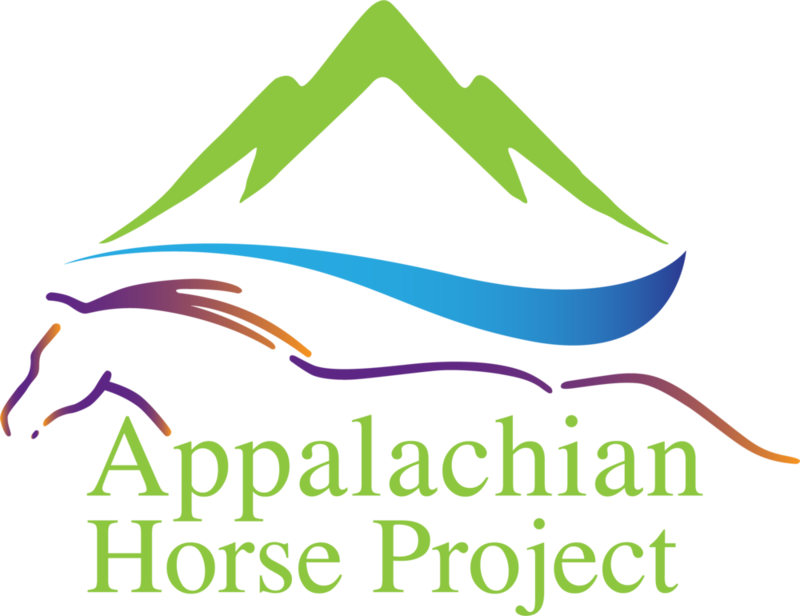 The Appalachian Horse Project is a nonprofit, tax-exempt charitable organization (tax identification number 61-1805193) under Section 501(c)(3).